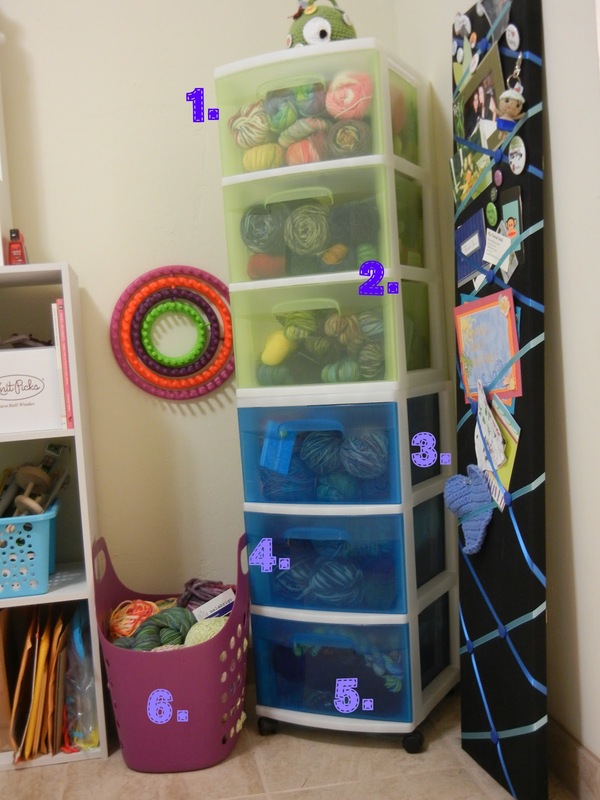 How do you keep your yarn wrangling organised? Since I have recently transformed my crafting area and have posted an overview of it here, I'm going to showcase some of my storage in detail. 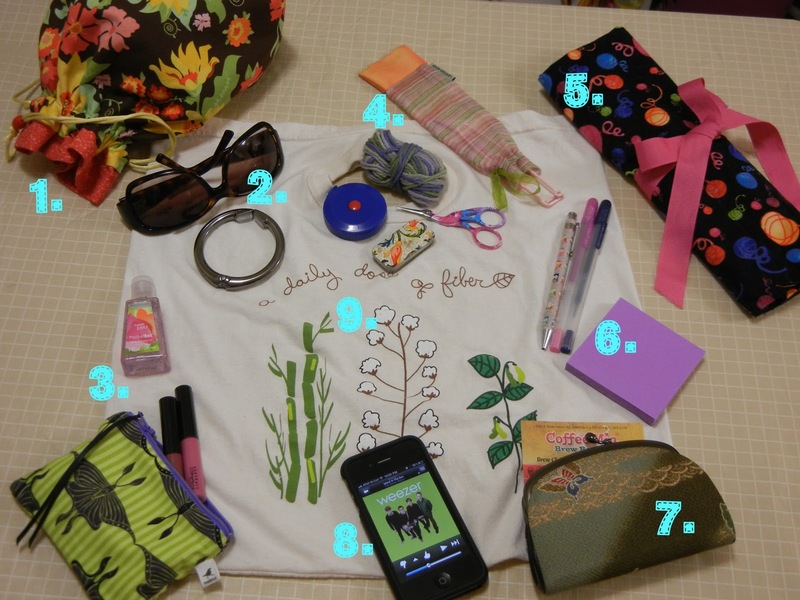 I thought it would be fun to create a numbered photo with the list of items, kind of like what editorials do. This has been my favorite bag! It's a Land's End canvas tote that has enough storage and pockets to house all my knitting and regular purse items on the go. One year my crafting group held a holiday party with a white elephant theme & I ended up with the biggest box which had it inside. Before I obtained this bag, I used to carry two bags plus my knitting project bag with me. It's been over a year since, it still stands well & it truly is like a Mary Poppins bag! 8. Smartphone - besides it's typical uses, I also use it as a row counter. This is where I house all of my project bags. At the moment, all of them are filled with projects. I love having them organized this way. Easy to locate, plus it's become such a cute display! Do you have a similar story? Leave your info, I'd love to hear about it! love this! I think you're missing a lamp and espresso machine from your Mary Poppins bag... I'm pretty sure I've seen you pull those out of there before. need to gets me one of those CoffeeMia punchcards! I'm right there with Lisa ... I am in total awe right now! 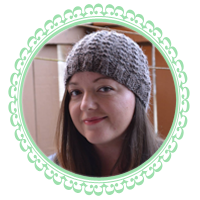 There is something about this post that lifts my spirits and totally inspires me! And that tote ... oi! I love it. And I totally love how Brain Slug is guarding your stash. WOW you are organized! Big pats on the back! oh my gosh! you're too funny! But it's so true! How would you like your espresso? ha! !